From promising opportunities of metropolitan cooperation to attracting investment as a means of counteracting gender imbalances in rural areas, ESPON maps untapped development resources in European regions and cities. It aims to feed territorial evidence into the policy arena, supporting the formulation of well-tuned policy measures. In this article Mr Peter Mehlbye, Director of the ESPON Coordination Unit, reflects on the present and future of the programme, exposing its hurdles and achievements. 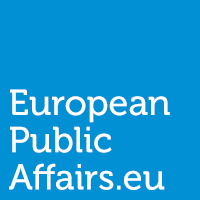 He gives an insight into the ambitions and working dynamics of a programme that aims to support European public authorities in taking evidence-based decisions. ESPON is a European Territorial Cooperation (ETC) programme with the special role of producing pan-European, comparable evidence for policy development about territorial trends, structures, perspectives and impact of policies. How does ESPON “inspire policy-making by territorial evidence”? The key word is knowledge transfer to policy processes both at European and transnational level. This is supported by a network of ESPON Contact Points in each of the 32 countries participating. In addition, we disseminate territorial evidence by the traditional media, social media, the website, short briefs, printed material, more substantive synthetic reports and a multitude of events. More concretely, ESPON offers groups of ministries, regions and cities the possibility to launch targeted analyses based on ESPON evidence, thus, giving a European perspective to their policy development. A group of stakeholders wanted to understand the migration flows of women from rural areas to cities. Based on their demands, ESPON launched SEMIGRA. It showed that young women leave rural areas (and men) behind to find more attractive places to stay, often to attain a high level education. This trend is not viable for the rural areas affected as they might face severe problems after a generation of such emigration. The ESPON analysis proposed a range of possible ways to counteract this trend to the stakeholders. How has ESPON contributed to supporting the Cohesion Policy purpose of “promoting economic prosperity and social cohesion”? ESPON provides territorial evidence that can give new inspiration for development opportunities by benchmarking regions and cities in the European context. This can be particular relevant for regions and cities opting for economic recovery. Accelerating globalization calls for increased European cooperation and increased competitiveness based on consolidating comparative advantages . This can contribute to prosperity and job creation. How will ESPON post 2013 be? A renewed ESPON will continue in 2014-2020. The two main drivers of renewal are to improve the speed of knowledge transfer to policy processes and to create a leaner administrative setting. The thematics will depend on demand from policy. Probably, the current gap in evidence concerning territorial aspects of SMEs will be a priority. The approach will continue to be integrated and multidisciplinary. What will be the likely impact of the new MFF for the ETC Programmes? The budget provisions 2014-2020 for the ETC programmes are, in fact, positive. For ESPON the nominal financial contribution from the European Commission is increasing to 41.3 mio. Euro, backing the ambitions of creating an ESPON with better capacity to deliver on its goals. The positive budget development might also be due to support from the European Parliament and the Committee of the Regions for European activities and pan-European programmes. How could the programme overcome the challenge of gathering harmonised statistical data and delivering timely territorial evidence? The most important precondition for quicker delivery is to improve the analytical capacity of ESPON, with colleagues capable of combining scientific insight with policy sensitivity and communication skills. The core data input will continue to come from Eurostat and applied research by ESPON. However, there are possibilities being explored to swiftly build quantitative information resources based on Big Data. This refers to the information that could be scraped from electronic sources such as mobile phones, the Internet and social media. There are feasibility studies running in order to determine whether or not it is possible to make territorial statistics out of it. Administrative issues are a general EU problem. With the new administrative setting, ESPON tries to tackle this in a very innovative way. However, the biggest challenge is to improve significantly the uptake of territorial evidence in policy processes at all levels. We aspire to better catch interest, and to communicate with the right timing in easily understandable language, not only in English. When will ESPON post. 2013 become operational? At this stage it is difficult to say precisely. The general Regulation for the ESIF should be ready by end of November. There has been discussion on the details, that is why it has taken some time. But, the internal ambition of ESPON is to be capable of opening the first call for tenders before the end of 2014. Any inspiring remarks to finish? Currently, tendencies of geographical concentration are dominant. This benefits particularly the core and northern area of the EU, as well as the largest cities, which have the highest scores on Europe 2020 indicators. Continued development along those lines is not creating the territorial cohesion, harmony and balanced territory of the future that the Treaty opts for. Geographical concentration is pernicious because it creates regions and cities where the population is shrinking and economic activity is at risk of drying out as the majority of investments go to the strong areas with bigger chances for good rentability. Currently, some second-tier cities that were promising before the crisis in creating better territorial balance within Europe seem to be suffering. Counterbalancing this process needs attention, resources and clear political decisions. Territorial consciousness should be stronger entailed in policy making. This is because coordination of policy sectors and cooperation among regions and cities unleash substantial development opportunities. In fact, it could even be beneficial for Europe’s competitiveness and growth. Most importantly, it would support a better quality of life for European citizens in all corners of Europe.